Dodgeball is one of those unpopular sports that many of us enjoyed back in elementary & middle school. 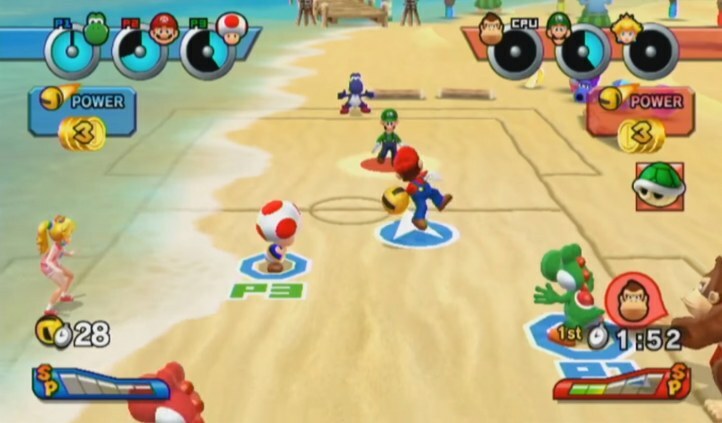 When it comes to dodgeball video games, only about 20 retail titles have been released for game consoles. Out of those 20 titles, only a few are worth playing. 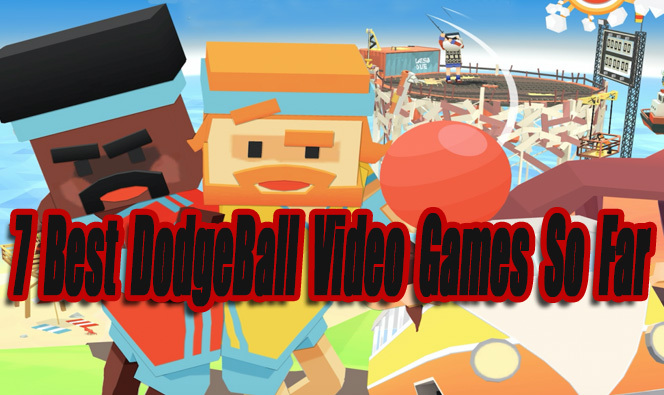 This article features the 7 best Dodgeball games released so far, that I recommend checking out. When new worthy games are released, this article will be updated. I like Super Dodgeball Brawlers but the character movements and throws are a bit too sluggish for me. The gameplay kind of lacks flow, but it’s still fun once you get into it. I like the added fighting mechanics. If you get into a ball catching rally vs the computer, you can always direct the action towards the center line, where you can punch and kick the opposing team. There is also weapons and power-ups like bombs, vending machines, bats and special power throws. It’s a pretty decent game for the DS, but there are better games on this list. 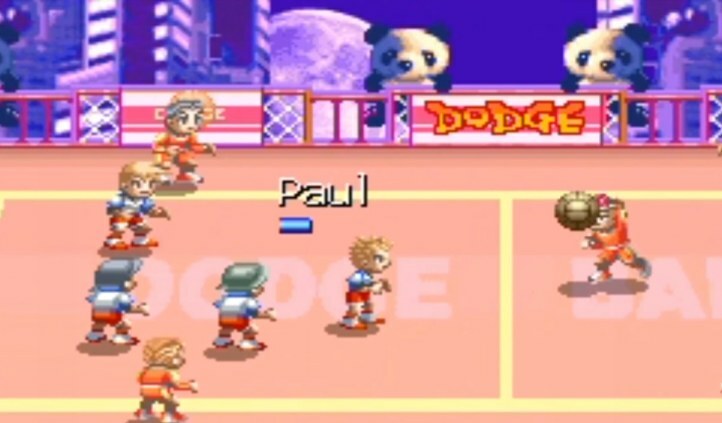 Super Dodge Ball is one of Nintendo’s hidden gems. It’s a fun and fast-paced dodgeball game. For only controlling two buttons (jump & Throw) there is a lot of move sets. You can pass, throw, jump throw, and unleash a variety of cool looking power throws. Once you get used to dodging, catching, and throwing balls, you might be surprised how addicting the gameplay is. There is a lot of different world levels to play through, such as USA, Japan, Iceland, Russia and more. On the court, it is 3 vs 3 battles. To defeat the opposing team you have to keep throwing balls at them until there energy bars are all gone. 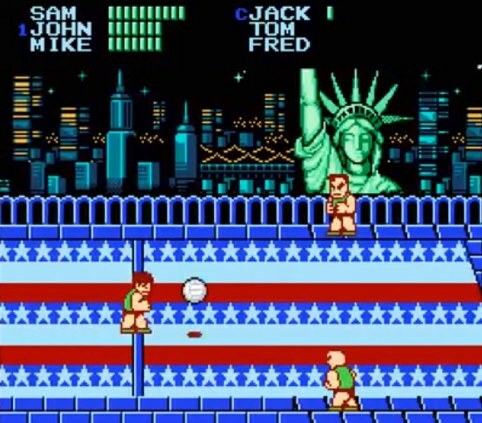 Overall Super Dodge Ball is an amazing game for the NES, and for a long time, it was the best dodgeball video game. A lot of fans of the original Super Dodge Ball game probably won’t agree that the Advance version is better. Besides the awkward/generic looking characters in the Advance version, I think the gameplay is better and even more fun than the classic (But it’s debatable). The jump passing and throwing along with the improved power throws are impressive. The courts are varied well and the music is spot on for this type of game. The AI gradually becomes more challenging the further you progress in the game. There is no two player mode of course because it’s a classic handheld game. If you’re looking for a great single player handheld dodgeball experience, this is a must play. I actually never owned an NEO GEO game console, but I recently played this game on PC (I used a MAME emulator). I am glad I played this because I think this is the best arcade-style 2D Dodgeball game ever created. The graphics have that signature brightly colored NEO GEO look to them, and the characters are corny but fit into the atmosphere well. The backgrounds are nice to look at, and usually, have something going on in them. The game features 3 vs 3 player battles, you can select your characters before playing. 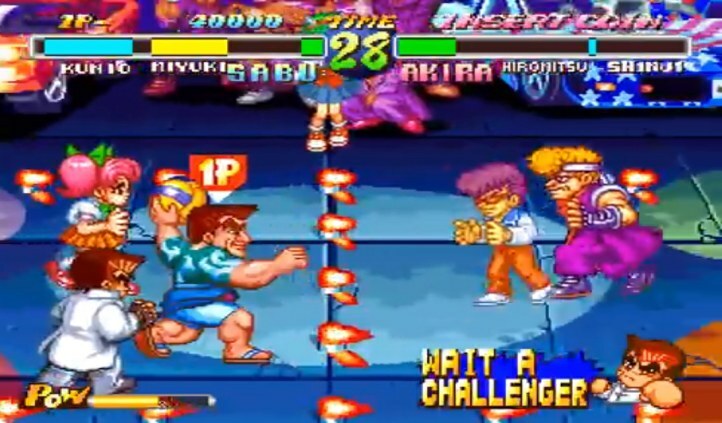 The gameplay is a perfect mix between fighting and dodgeball, with the ability to throw down power attacks once your PoW bar is full. If you are looking for a fun single player or local cooperative dodgeball game with addicting arcade gameplay, download MAME and give this one a try. Mario Sports Mix is a compilation of sports games. It includes volleyball, hockey, dodgeball, and basketball. I personally did not like most of the games offered in this compilation pack, but I thought the dodgeball game was pretty good. It’s especially fun when you have multiple people to play with. The court varieties and the amount of in-level obstacles keeps things entertaining. 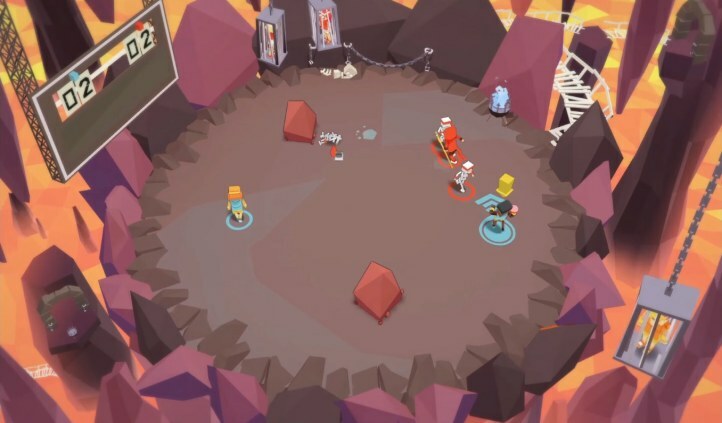 Playing single player on easy is not too fun at all, but if you boost up the difficulty to the tournament mode (Hard) the single player and cooperative local multiplayer game is a lot more fun to play, as long as the computer team AI cooperates (Most of the time it does). If you are looking for a fun Mario themed dodgeball game and you happen to still own a Wii, don’t pass up Mario Sports Mix. This is the game that inspired me to write this article because I have played the PC version off and on for a few years now. I was excited when they announced a remix version would be released on May 22nd, 2018 for PS4, Xbox One, and Nintendo Switch (Hopefully it’s good also). As of right now, There aren’t as many people playing online (PC version) as there once was, but fortunately, the bots are challenging and fun to play against. It’s basically a competitive online arena deathmatch. You control robotic characters, charge up and throw your ball at other robotic enemies. Try to destroy anyone in your way to earn points. The fast reaction frag style gameplay can be very addicting, especially if you enjoy twitch shooters(like Unreal Tournament or Quake). The PC version of the game continues to be updated often and there are tons of multiplayer modes to choose from! I am hoping the console versions receive all the content the PC version already has. Stikbold! offers a fantastic campaign against computer opponents, along with fun competitive local multiplayer co-op and versus game modes. The interactive environments add a lot of challenging obstacles to Stikbold!’s gameplay. While you’re throwing and dodging balls, you will also have to worry about each levels environments, making the gameplay feel very chaotic. Playing through the campaign feels useful because after every stage you will unlock a character to play as. Stikbold! is most fun when played with the max amount of players (4 players originally, 6 Players in the Switch version) versus each other locally. The games physics, gameplay, music, graphics and sound all work well with each other. The campaign will take a few hours to beat, the local multiplayer is always fun to play in short sessions with friends or family members. Stikbold! 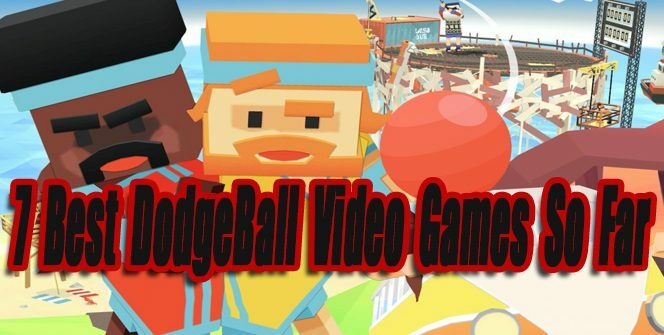 is the best Dodgeball video game created so far, it’s always debatable though because some gamers prefer inferior classics to newer games that offer much more. The Following Games either barely missed our top list, or are loosely related to the dodgeball games genre. Some of these games might be worth checking out also! All Star Slammin’ D-Ball (PC) – This was released towards the end of PS1’s lifecycle at a budget price of $10. The gameplay is simple, it’s 7 vs 7 with basic catches and throws. Later levels in the single-player mode provide a good challenge. The game is most fun when played against another person locally. All-Star Slammin’ D-Ball was inspired by the NES classic Super Dodge Ball. I still prefer Super Dodge Ball over Slammin’ D-Ball, but if you have a PS1 you might want to check this one out. Strikers Edge (PC) – It’s not a dodgeball game, but the gameplay style is very similar to it. Instead of throwing balls you are shooting arrows at each other. The artistic 2D graphics are nice and the online multiplayer gameplay is a lot of fun. 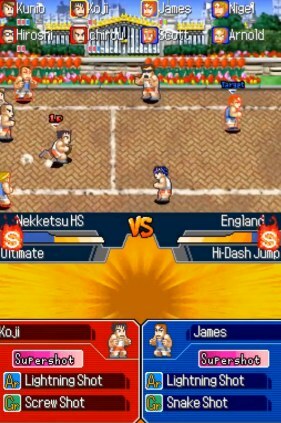 XS Jr. League Dodgeball (PS1) – The gameplay is very similar to All-Star Slammin’ D-Ball. This game features teams made up of school girls. Lupinball (PC) – An interesting multiplayer versus game where you throw floating fireballs trying to hit opponents, while also dodging the fireballs they throw at you. Metagalactic Blitz (PC, Steam Early Access) – It’s early in development. The gameplay looks a little plain right now, but it could be a promising title in the future. 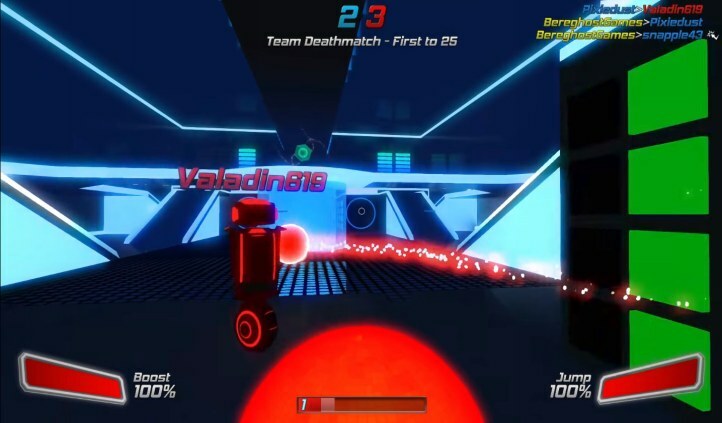 Dodgeball Rising is currently unreleased and in the alpha stage of development. The game already looks promising, I am hoping the final product is amazing xD.